Tourism Desk : Sreemangal— The Tea Capital of Bangladesh, is a picturesque hilly area covered with tea estates, lemon groves and pineapple gardens. Miles after miles, Sreemangal Tea Estates form a green carpet on the sloping hills. A large portion of world’s highest quality tea is grown and exported from Sreemangal, hence it is called the tea capital. But there is more to Sreemangal than just tea. Sreemangal is a magical world famous for nature, forests and wildlife, which makes it another prime Bangladesh Eco-Tourism Destination. Here it is possible to look around and not see another human being. Visit Sreemangal for breathtaking views of sloping landscape wrapped with endless tea gardens. The rolling plains lie quietly and seemingly untouched in all their splendors. Large rubber gardens and lakes of Sreemangal instill a peace and tranquility in this region which attracts visitors from far and away. Lawachara Rain Forest: This major national park is located 8 kilometers east of Sreemangal. The park offers ample trekking opportunities through the forest. Over 460 different species of birds, mammals and reptiles live in this forest. Mentionable Lawachara rainforest animal species include deer, wild chicken, squirrel, python, endangered hoolok gibbons, capped langoor, slow loris, birds, snakes, banana spiders etc. The forest is really dense at some places like those of primeval ones. Rumors run that at shady and dark corners sometimes big cats like leopards are also seen. However it is very popular destination for bird watching as over 260 bird species has been recorded here. Madhabkunda Waterfall: This is one of the Highest Waterfall in Bangladesh which is about 200 ft (61 m) high. It is located a bit further away from Sreemangal, roughly about 60km, however the journey to Madhabkunda is pleasing experience as the road goes through tea gardens and hills. Hakaluki Haor: This is a 192 sq kilometer marsh wetland ecosystem. About 190,000 people live in the surrounding areas. It supports a wide range of migratory birds and fishes, hence it is a good location for seasonal bird watching. Rema-Kalenga Forest: The Rema-Kalenga Wildlife Sanctuary is located in the adjacent Habiganj district. It is a part of the tarap hill reserved forest - the largest remnant of Bangladesh Highland Natural Forest. The sanctuary encompasses several hills of different elevations and low lying valleys. The highest peak of the hill is about 67 meter from the sea level. The sanctuary is drained by a number of small, sandy-bedded streams and includes one small (<0.5 ha) artificial lake. The forest is mixed evergreen, where tall trees are deciduous and evergreen. The forest encompasses a total land area of 1795.54ha and home to a wonderful variety of plant, animal and birds. It is said to provide good bird watching experience. Recorded species include 37 mammals, 167 birds, 7 amphibians, 18 reptiles and 638 plants but it is believed to be much less. Four different ethnic communities (Tripura, Shantal, Telugu and Urang) live in and around the forest. Shatchari Forest: Located about 60km southwest of Sreemangal is the 243-hectare Satchari National Park (formerly known as the Telepara Forest Reserve). This park is part of a much larger protected region. Although less popular than Lawachara, it is a superb slab of tropical forest with a higher diversity of plants and animals than Lawachara, and with far less human disturbance. There are a number of marked walking trails, several streams, a population of hoolock gibbons, fishing cats, Phayre’s langur, jungle fowl, pygmy woodpeckers and oriental pied horn-bills can be seen here. 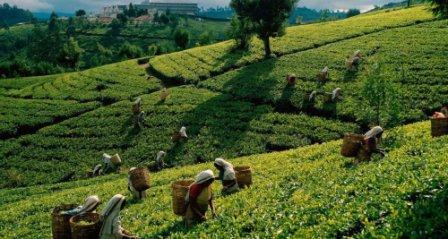 Tea Estates: Visitors are allowed for Sreemangal Tea Factory Tour and the Tea Research Institute tour. Tourists can also walk amongst the workers in the tea plantation. Tribal Villages: Opportunities of experiencing and discovering tribal cultures and lifestyles are rare, and visitors are recommended to stop off at the Monipuri Tribal Village. The lifestyles and traditions of the Tripra and the Khashia can also be discovered here.